How chemotherapy came to be. We begin with something not in the least wonderful. Mustard gas is a substance used in chemical warfare; its effects begin to show around six hours after contact, causing painfully blistering chemical burns, conjunctivitis, and potentially fatal damage to the lungs. It works by interfering with the DNA so that cells can no longer reproduce themselves. To put it mildly, mustard gas is seriously unpleasant stuff. The Allies never used mustard gas in the Second World War, but both the UK and the US were secretly manufacturing it just in case. In 1944, the Americans sent sixty tons of the stuff to their troops in Italy aboard a Liberty (merchant navy) ship named the SS John Harvey, reaching the British-controlled Italian port of Bari in late November of that year. But there was rather a queue, and the John Harvey lay waiting in the harbour for a week: the captain was prevented from telling the harbourmaster that his cargo was dangerous and should have priority in unloading because of official secrecy. On 2 December the Luftwaffe bombed Bari harbour, sinking seventeen ships including the John Harvey, and releasing a cloud of mustard gas to drift across the town. Nobody knows for sure how many thousands of people were injured or killed, again because of official secrecy: the whole accident was hushed up and didn't become public knowledge until the late 1960s. Nor did the doctors treating the injured people know that mustard gas was involved. At this point, the Americans despatched a chemical weapons expert named Dr Stewart Alexander to work out what was going on. His quick thinking identified the mustard gas and saved many lives; nevertheless, he still had to go through many autopsies. 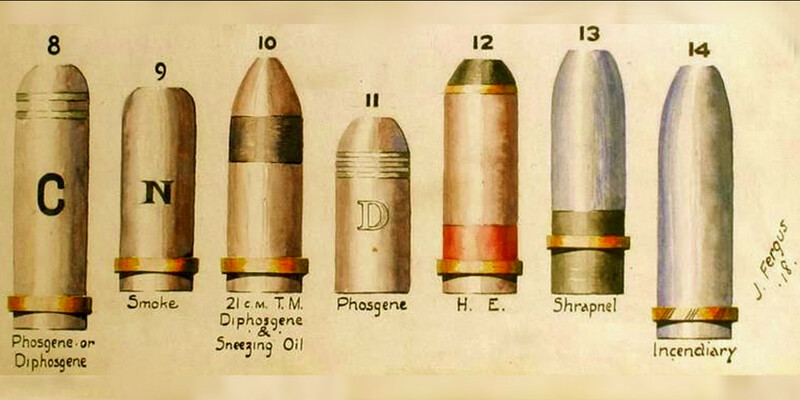 But it was at these autopsies that Dr Alexander noticed something odd: people who died from mustard gas exposure had very few white blood cells, because the effects of the gas had prevented the cells dividing. If it stopped white blood cells from multiplying, might it stop cancerous cells from multiplying as well? Dr Alexander's work led eventually to the discovery of mechlorethamine, a derivative of mustard gas that became the first chemotherapy drug, and thus saved the lives of millions.